STUDENTS, families and staff from St John’s gathered together for an inaugural awards ceremony to celebrate the many achievements of the children. St John’s Catholic School for the Deaf, in Boston Spa, supports children and young people who are deaf or have complex communication difficulties. While many pupils attend school as a day pupil, the school also offers residential support for children from further afield. These young people attend from Monday to Friday, on a weekly-boarding basis, and are cared for by the school’s residential care team. David Phipps, the school’s Head of Care, explained: “We wanted to hold these awards to reflect the great achievements the children who use our residential services make. The school operates on a 24-hour, wraparound care basis in our residential services, and it’s not always the academic achievements which have the biggest impact. 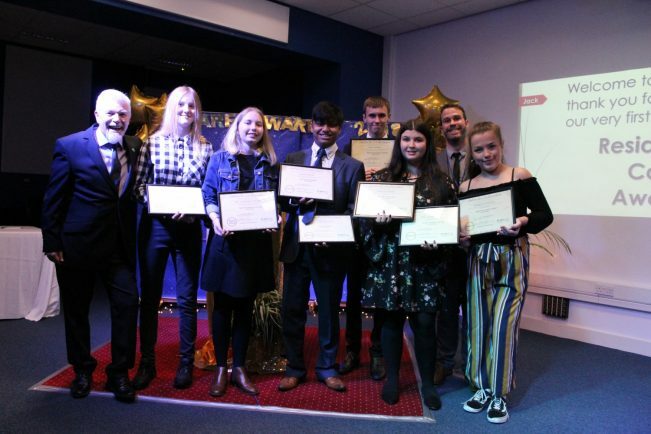 Categories in the awards included Significant Achievement, Care Council Member, Special Contribution, Student of the Year and Student’s Student of the Year. Nominations were split across the school’s junior pupils and Post 16. David added: “It was an emotional night. Many families had travelled, in some cases long distances, to be at the event. It was a wonderful way to recognise that not all achievements can be measured in statistics – some are about how you support your friends, the progress you have made within yourself or overcoming fears. That’s what this evening was all about.